In another year or two, this sign will be something I can wholeheartedly support. Once the rest of the red wears off. 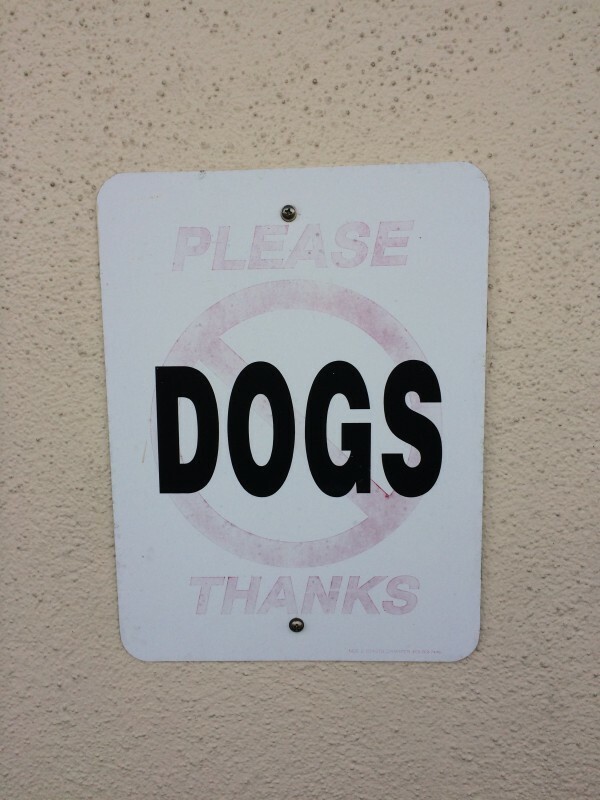 If it’s still there at that point, I might go back and go over ‘Please’ and ‘Thanks’ with a red pen, so it says ‘Please Dogs Thanks’. This entry was posted in Sunday Switchup and tagged Funny signs, Tiburon. Bookmark the permalink.